The Barred Owl’s familiar Who cooks for you? Who cooks for you-all is one of the most recognizable of all bird vocalizations, and the Barred Owl is perhaps the easiest of all owls to attract in with imitations of its call. Named for the barring across its breast, it’s closely related to the Spotted Owl. 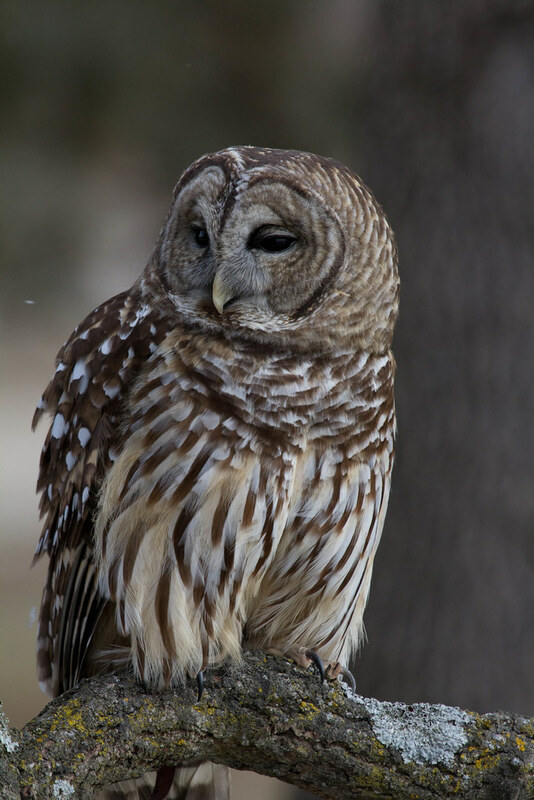 Much more of a habitat generalist than its western counterpart, the Barred Owl’s range is expanding into the dangerously declining Spotted Owl’s.